New House Construction includes several general contractors and professional architects, structural engineers, building inspectors, designers and real-estate agents who help business people to find a location to build or renovate a condo project. Our group under the direction of Mr. Daniel Dargis, Engineer and general contractor since 1989, is responsible for everything, from the search of land or a building, through sketches and proposals according to the budget, plans, permit application, interior design, project management and construction. Renovation of an existing building. renovate well for resale and make a “flip” in local parlance. New House Construction is all you need to achieve a condo project in Montreal and surroundings. Sketches and models: The goal is to produce sketches that will serve as a basis to develop a plan of a condo building project. An expert of the New House Construction group meets you to listen to you and reconcile: building inspection and location, goals, tastes and budget. In this first stage we collect the information that you have on hand: ideas, photos, images, plans, sketches, drawings, a budget, tastes for and colors of materials, size and shape of parts. To this we do research on the zoning regulations for the construction of a condo building project and then we begin to design sketches as proposals. The permit and construction: Once the plan of the condo building project is complete it is submitted to the municipality to obtain a permit and then construction work can begin. Mr. Daniel Dargis, Engineer and general contractor, leads a group of professionals and general contractors who come together to design the mounting of the condo building project of your dreams from A to Z from the sketches and models through the plans to suit your tastes and budget and then they carry out the turnkey construction. Be careful not to fall in love with a building and try to convince yourself that this is the perfect property to realize a condo building project. Call upon New House Construction through Mr. Daniel Dargis, Engineer and general contractor, who will take care to examine in a subjective way the property that you have found to do an inspection and give you his recommendations. Whether it is for a condo building project using a commercial or multiplex edifice to convert into a residential condo building project we mount the project from A to Z. It is indeed possible that you have found a real bargain but do not forget that there are plentiful of business people like you who spend their days looking for opportunities in real estate with many resources in construction and real estate contacts in order to realize a condo building project. So, when a building has been on the market for several days for all to be seen and it is not sold yet then you should start analyzing the situation. Too many buyers are charmed by salesmen who are only interested in the commission of the sale. Call upon New House Construction which will put you in contact with a building inspector and contractor to properly examine the building and to estimate the work to be done. 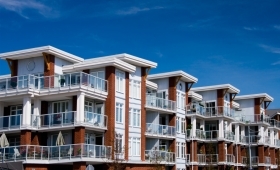 Experts in real estate know that, in most major cities like Montreal and even outside the major centers, the no.1 criteria for mounting a condo building project is the location or the site. The building may be damaged and then it is always possible to repair it. The tenants will have to be relocated however. It is often possible to find a arrangement, but the location allowing for proximity to services can not be improved. The flexibility of the seller to finance you remaining in balance of sale. New House Construction not only helps you to choose objectively the building and the location for mounting a condo building project but also gives you the means to do the project with professionals and licensed contractors.